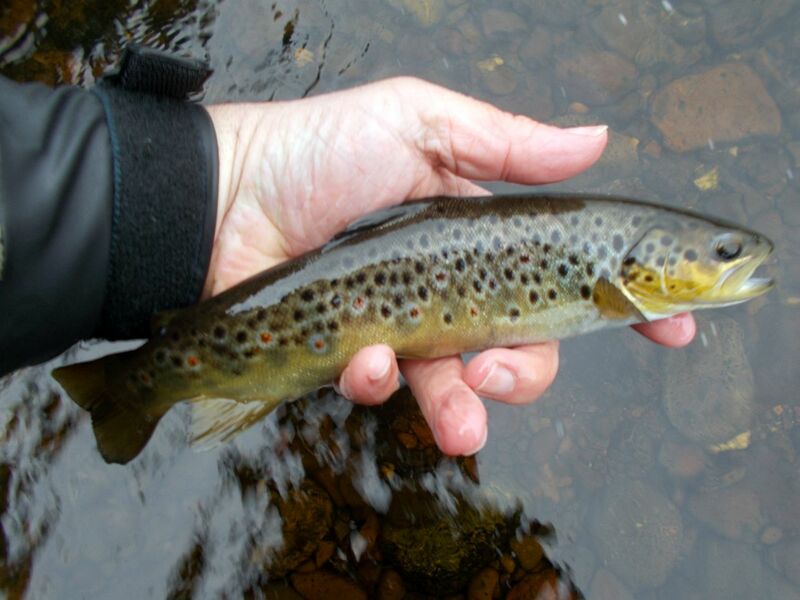 Well its that time of year again, nights are drawing in, the 2017 Brown Trout season on the River Devon is already over and the Salmon/Sea Trout finish on Tuesday 31st October. 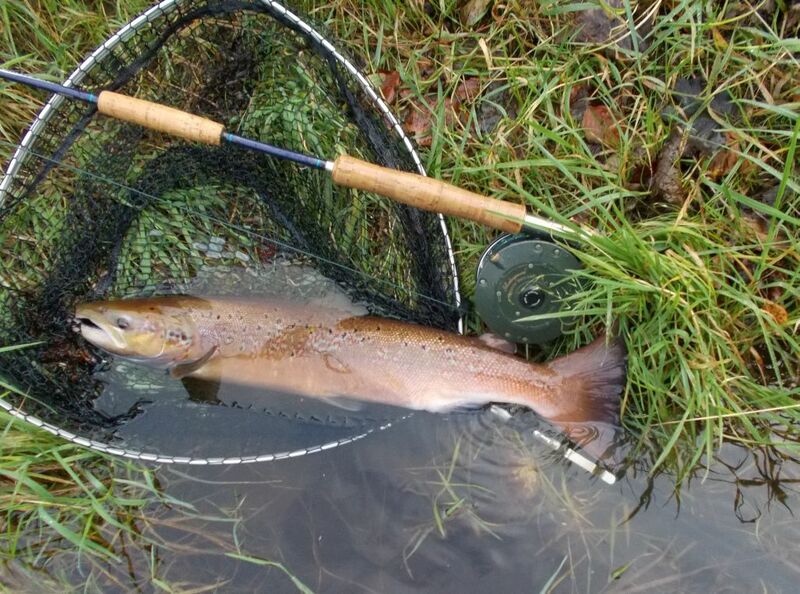 The last few weeks of the season on the river were kind for anglers, with a couple of decent spates prompting Salmon into the river, interspersed with some lovely weather and encouraging the resident Brown Trout to head up river. …… and found plenty of fish willing to give it a nibble, mostly of this kind of class. Hopefully by the time of the next update several more will have been caught! Salmon/Sea Trout holders please remember to return your catch returns by the 20th November even if it is zero. As ever the work parties have been hard at work clearing fallen lumber (including the tree at Dollar weir) and access to the spawning burns. The team have also been out supporting the River Forth Fisheries Trust biologists undertaking electro-fishing surveys of a number of the key spawning burns and exploring the potential of underutilised burns. We will be working with the Trust over the winter to explore opportunities for further improvements. Members of the working parties are due to undertaking training with the trust’s invasive species team in the use of herbicides to control invasive plants. 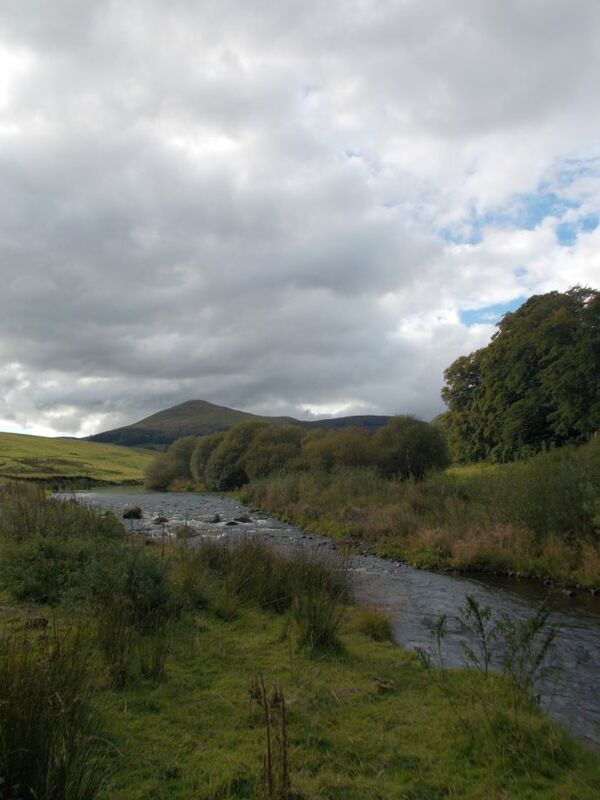 During the winter it is intended to look at the potential for making the north bank at Glenquey fishable when the reservoir is full, but this is a major undertaking due to the practicalities of getting equipment there and finding a home for the arisings. Hopefully the Salmon/Sea Trout anglers will have some luck in the next few days, otherwise 16th March 2018 isn’t that far off ……….. see you on the other side! This entry was posted in DAA News, Glenquey fishing, River fishing. Bookmark the permalink. Fished on Saturday. Started am on the Devon – spinning – not much water and an awful lot of leaves, so went up to the River Earn at Comrie where I also have a season. I had seen fish running there the previous week. There seems to have been a huge hatch of worm fishers ! The place is usually VERY quiet. They were happy to let me fly fish through, but none of us were catching anyway, even though there were a few fish about. Grandson got fed up early, so brought him home and thought – last hour on the Devon – hurry ! 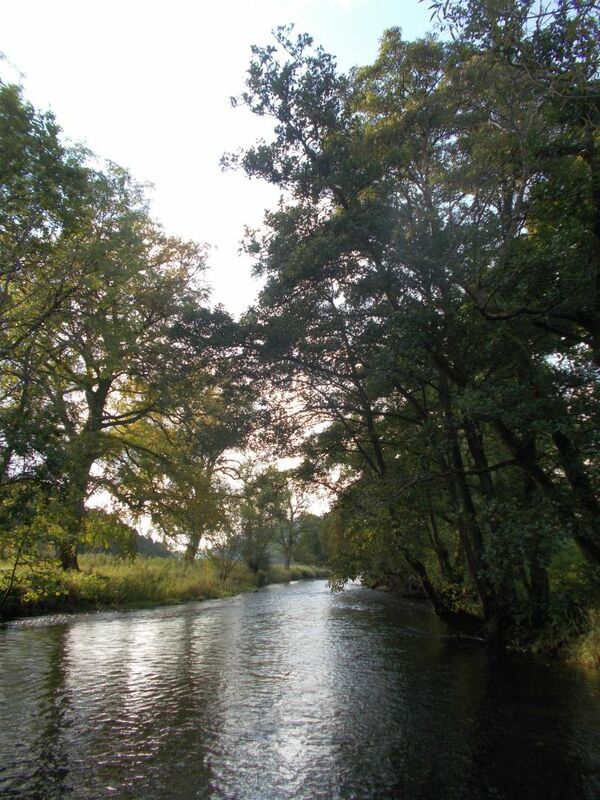 As I began casting on the long pool below the Haugh – whoosh – a bar of silver out of the water, 6 or 7 pounds ? – maybe my fly spooked it. Then before I left, another silver fish about 4 pounds out of the water again !! Maybe I should have stuck it out and moved on down the Devon for the whole day – there were definitely fresh fish in – just not for my flies !! I fish a floater with or without a short sinking head too. Often with one of Allys shrimp variants or versions – small sizes for the Devon. 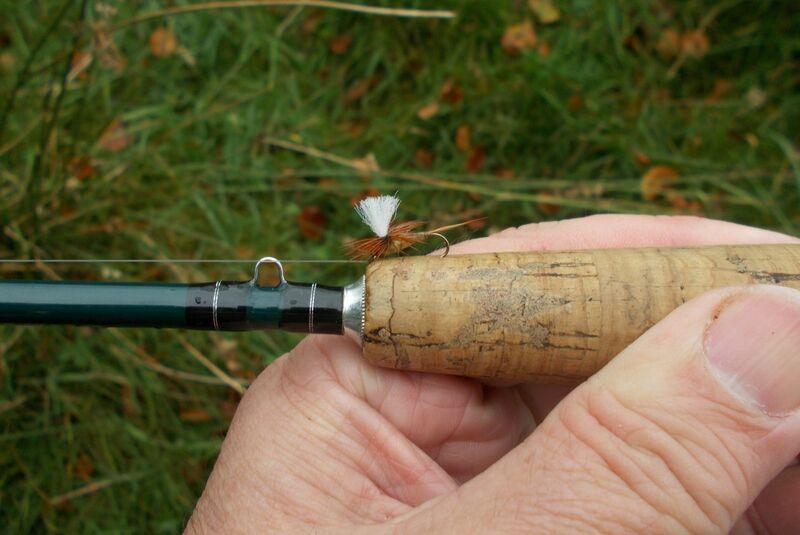 As primarily a trout angler, this year has easily been my best Salmon season on the Devon (two fish netted and four hooked/lost) …….. but mostly because I have learnt a lot about fly presentation. As flows dropped I reverted from floating lines with sink tips with big doubles to floating lines with large singles to make sure the fly spent more time in front of fish rather than bumping along the bottom. Hopefully a lesson learnt for the 2018 season! Graham , I have had a salmon permit since 2005 on the Devon and this was only the second Salmon I’ve caught on the Devon. I fish normally for Salmon more in hope than expectation. Indeed if I was honest I couldn’t even name the exact pattern of the fly I was using, other than it was a variant of the ubiquitous Ally’s Shrimp (size 10 double). I think significantly though I was fishing with a floating line, I was using a sink tip that was putting the fly well down (and out of the way of the leaf fall) I only saw two fish all afternoon (which includes the one I caught) but at least one other splashed out of sight behind me. The fish measured 26″ so I reckon it was about 7lb? I have spoken to a few of the regulars and they have seen fish but they are proving elusive (and this seems to be a trend this year on rivers on the east coast?). Hopefully over the next few days some more will be caught! A bonny fish ! What fly did the salmon take and what size ? I was out on Saturday for salmon but saw none !